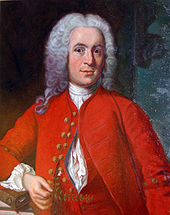 Linnaeus was born in the countryside of Småland in southern Sweden. He received most of his higher education at Uppsala University and began giving lectures in botany there in 1730. He lived abroad between 1735 and 1738, where he studied and also published the first ion of his Systema Naturae in the Netherlands. He then returned to Sweden where he became professor of medicine and botany at Uppsala. In the 1740s, he was sent on several journeys through Sweden to find and classify plants and animals. In the 1750s and 1760s, he continued to collect and classify animals, plants, and minerals, while publishing several volumes. He was one of the most acclaimed scientists in Europe at the time of his death. In 1729, Linnaeus wrote a thesis, Praeludia Sponsaliorum Plantarum on plant sexual reproduction. This attracted the attention of Rudbeck; in May 1730, he selected Linnaeus to give lectures at the University although the young man was only a second-year student. His lectures were popular, and Linnaeus often addressed an audience of 300 people. 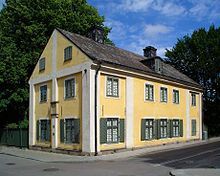 In June, Linnaeus moved from Celsius's house to Rudbeck's to become the tutor of the three youngest of his 24 children. His friendship with Celsius did not wane and they continued their botanical expions. Over that winter, Linnaeus began to doubt Tournefort's system of classification and decided to create one of his own. His plan was to divide the plants by the number of stamens and pistils. He began writing several books, which would later result in, for example, Genera Plantarum and Critica Botanica. He also produced a book on the plants grown in the Uppsala Botanical Garden, Adonis Uplandicus. 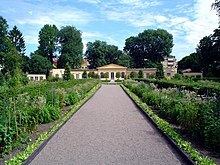 Linnaeus began his expion from Uppsala on 12 May 1732, just before he turned 25. He travelled on foot and horse, bringing with him his journal, botanical and ornithological manuscripts and sheets of paper for pressing plants. Near Gävle he found great quantities of Campanula serpyllifolia, later known as Linnaea borealis, the twinflower that would become his favourite. He sometimes dismounted on the way to examine a flower or rock and was particularly interested in mosses and lichens, the latter a main part of the diet of the reindeer, a common and economically important animal in Lapland. Linnaeus travelled clockwise around the coast of the Gulf of Bothnia, making major inland incursions from Umeå, Luleå and Tornio. He returned from his six-month-long, over 2,000 kilometres (1,200 mi) expion in October, having gathered and observed many plants, birds and rocks. Although Lapland was a region with limited biodiversity, Linnaeus described about 100 previously unidentified plants. These became the basis of his book Flora Lapponica. However, on the expion to Lapland, Linnaeus used Latin names to describe organisms because he had not yet developed the binomial system. It was also during this expion that Linnaeus had a flash of insight regarding the classification of mammals. Upon observing the lower jawbone of a horse at the side of a road he was travelling, Linnaeus remarked: "If I only knew how many teeth and of what kind every animal had, how many teats and where they were placed, I should perhaps be able to work out a perfectly natural system for the arrangement of all quadrupeds." In 1734, Linnaeus led a small group of students to Dalarna. Funded by the Governor of Dalarna, the expion was to catalogue known natural resources and discover new ones, but also to gather intelligence on Norwegian mining activities at Røros. 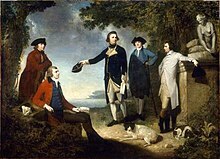 In July 1736, Linnaeus travelled to England, at Clifford's expense. He went to London to visit Sir Hans Sloane, a collector of natural history, and to see his cabinet, as well as to visit the Chelsea Physic Garden and its keeper, Philip Miller. He taught Miller about his new system of subdividing plants, as described in Systema Naturae. Miller was in fact reluctant to use the new binomial nomenclature, preferring the classifications of Joseph Pitton de Tournefort and John Ray at first. Linnaeus, nevertheless, applauded Miller's Gardeners Dictionary, The conservative Scot actually retained in his dictionary a number of pre-Linnaean binomial signifiers discarded by Linnaeus but which have been retained by modern botanists. He only fully changed to the Linnaean system in the ion of The Gardeners Dictionary of 1768. Miller ultimately was impressed, and from then on started to arrange the garden according to Linnaeus's system. Ten days after he was appointed Professor, he undertook an expion to the island provinces of Öland and Gotland with six students from the university, to look for plants useful in medicine. First, they travelled to Öland and stayed there until 21 June, when they sailed to Visby in Gotland. Linnaeus and the students stayed on Gotland for about a month, and then returned to Uppsala. During this expion, they found 100 previously unrecorded plants. The observations from the expion were later published in Öländska och Gothländska Resa, written in Swedish. Like Flora Lapponica, it contained both zoological and botanical observations, as well as observations concerning the culture in Öland and Gotland. 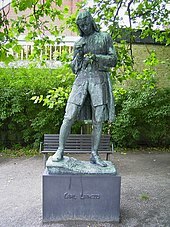 In the summer of 1746, Linnaeus was once again commissioned by the Government to carry out an expion, this time to the Swedish province of Västergötland. He set out from Uppsala on 12 June and returned on 11 August. On the expion his primary companion was Erik Gustaf Lidbeck, a student who had accompanied him on his previous journey. Linnaeus described his findings from the expion in the book Wästgöta-Resa, published the next year. After returning from the journey the Government decided Linnaeus should take on another expion to the southernmost province Scania. This journey was postponed, as Linnaeus felt too busy. 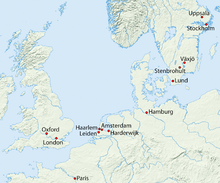 In the spring of 1749, Linnaeus could finally journey to Scania, again commissioned by the Government. With him he brought his student, Olof Söderberg. On the way to Scania, he made his last visit to his brothers and sisters in Stenbrohult since his father had died the previous year. The expion was similar to the previous journeys in most aspects, but this time he was also ordered to find the best place to grow walnut and Swedish whitebeam trees; these trees were used by the military to make rifles. The journey was successful, and Linnaeus's observations were published the next year in Skånska Resa. During Linnaeus's time as Professor and Rector of Uppsala University, he taught many devoted students, 17 of whom he called "apostles". They were the most promising, most committed students, and all of them made botanical expions to various places in the world, often with his help. The amount of this help varied; sometimes he used his influence as Rector to grant his apostles a scholarship or a place on an expion. To most of the apostles he gave instructions of what to look for on their journeys. Abroad, the apostles collected and organised new plants, animals and minerals according to Linnaeus's system. Most of them also gave some of their collection to Linnaeus when their journey was finished. Thanks to these students, the Linnaean system of taxonomy spread through the world without Linnaeus ever having to travel outside Sweden after his return from Holland. The British botanist William T. Stearn notes without Linnaeus's new system, it would not have been possible for the apostles to collect and organise so many new specimens. Many of the apostles died during their expions. Christopher Tärnström, the first apostle and a 43-year-old pastor with a wife and children, made his journey in 1746. He boarded a Swedish East India Company ship headed for China. Tärnström never reached his destination, dying of a tropical fever on Côn Sơn Island the same year. Tärnström's widow blamed Linnaeus for making her children fatherless, causing Linnaeus to prefer sending out younger, unmarried students after Tärnström. Six other apostles later died on their expions, including Pehr Forsskål and Pehr Löfling. Two years after Tärnström's expion, Finnish-born Pehr Kalm set out as the second apostle to North America. There he spent two-and-a-half years studying the flora and fauna of Pennsylvania, New York, New Jersey and Canada. Linnaeus was overjoyed when Kalm returned, bringing back with him many pressed flowers and seeds. At least 90 of the 700 North American species described in Species Plantarum had been brought back by Kalm. Daniel Solander was living in Linnaeus's house during his time as a student in Uppsala. Linnaeus was very fond of him, promising Solander his oldest daughter's hand in marriage. On Linnaeus's recommendation, Solander travelled to England in 1760, where he met the English botanist Joseph Banks. With Banks, Solander joined James Cook on his expion to Oceania on the Endeavour in 1768–71. Solander was not the only apostle to journey with James Cook; Anders Sparrman followed on the Resolution in 1772–75 bound for, among other places, Oceania and South America. 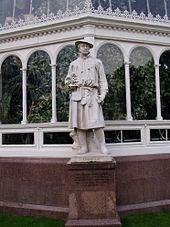 Sparrman made many other expions, one of them to South Africa. Perhaps the most famous and successful apostle was Carl Peter Thunberg, who embarked on a nine-year expion in 1770. He stayed in South Africa for three years, then travelled to Japan. All foreigners in Japan were forced to stay on the island of Dejima outside Nagasaki, so it was thus hard for Thunberg to study the flora. He did, however, manage to persuade some of the translators to bring him different plants, and he also found plants in the gardens of Dejima. He returned to Sweden in 1779, one year after Linnaeus's death. The first ion of Systema Naturae was printed in the Netherlands in 1735. It was a twelve-page work. By the time it reached its 10th ion in 1758, it classified 4,400 species of animals and 7,700 species of plants. People from all over the world sent their specimens to Linnaeus to be included. By the time he started work on the 12th ion, Linnaeus needed a new invention—the index card—to track classifications. 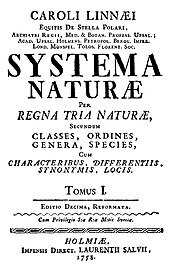 After the decline in Linnaeus's health in the early 1770s, publication of ions of Systema Naturae went in two different directions. Another Swedish scientist, Johan Andreas Murray issued the Regnum Vegetabile section separately in 1774 as the Systema Vegetabilium, rather confusingly labelled the 13th ion. Meanwhile a 13th ion of the entire Systema appeared in parts between 1788 and 1793. It was through the Systema Vegetabilium that Linnaeus's work became widely known in England, following its translation from the Latin by the Lichfield Botanical Society as A System of Vegetables (1783–1785). Genera plantarum: eorumque characteres naturales secundum numerum, figuram, situm, et proportionem omnium fructificationis partium was first published in 1737, delineating plant genera. Around 10 ions were published, not all of them by Linnaeus himself; the most important is the 1754 fifth ion. In it Linnaeus divided the plant Kingdom into 24 classes. One, Cryptogamia, included all the plants with concealed reproductive parts (algae, fungi, mosses and liverworts and ferns). Linnaeus's groupings were based upon shared physical characteristics, and not simply upon differences. Of his higher groupings, only those for animals are still in use, and the groupings themselves have been significantly changed since their conception, as have the principles behind them. Nevertheless, Linnaeus is cred with establishing the idea of a hierarchical structure of classification which is based upon observable characteristics and intended to reflect natural relationships. While the underlying details concerning what are considered to be scientifically valid "observable characteristics" have changed with expanding knowledge (for example, DNA sequencing, unavailable in Linnaeus's time, has proven to be a tool of considerable utility for classifying living organisms and establishing their evolutionary relationships), the fundamental principle remains sound. After such criticism, Linnaeus felt he needed to explain himself more clearly. The 10th ion of Systema Naturae introduced new terms, including Mammalia and Primates, the latter of which would replace Anthropomorpha as well as giving humans the full binomial Homo sapiens. The new classification received less criticism, but many natural historians still believed he had demoted humans from their former place of ruling over nature and not being a part of it. Linnaeus believed that man biologically belongs to the animal kingdom and had to be included in it. In his book Dieta Naturalis, he said, "One should not vent one's wrath on animals, Theology decree that man has a soul and that the animals are mere 'aoutomata mechanica,' but I believe they would be better advised that animals have a soul and that the difference is of nobility." In early ions of Systema Naturae, many well-known legendary creatures were included such as the phoenix, dragon, manticore, and satyrus,[note 10] which Linnaeus collected into the catch-all category Paradoxa. Broberg thought Linnaeus was trying to offer a natural explanation and demystify the world of superstition. 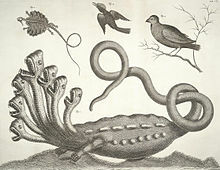 Linnaeus tried to debunk some of these creatures, as he had with the hydra; regarding the purported remains of dragons, Linnaeus wrote that they were either derived from lizards or rays. For Homo troglodytes he asked the Swedish East India Company to search for one, but they did not find any signs of its existence. Homo lar has since been reclassified as Hylobates lar, the lar gibbon. In the first ion of Systema Naturae, Linnaeus subdivided the human species into four varieties based on continent and[dubious – discuss] skin colour: "Europæus albus" (white European), "Americanus rubescens" (red American), "Asiaticus fuscus" (brown Asian) and "Africanus niger" (black African). In the tenth ion of Systema Naturae he further detailed phenotypical characteristics for each variety, based on the concept of the four temperaments from classical antiquity,[dubious – discuss] and changed the description of Asians' skin tone to "luridus" (yellow). Additionally, Linnaeus created a wastebasket taxon "monstrosus" for "wild and monstrous humans, unknown groups, and more or less abnormal people". Linnaeus ... was the most eminent naturalist of his time, a wide observer, a close thinker; but the atmosphere in which he lived and moved and had his being was saturated with biblical theology, and this permeated all his thinking. ... Toward the end of his life he timidly advanced the hypothesis that all the species of one genus constituted at the creation one species; and from the last ion of his Systema Naturæ he quietly left out the strongly orthodox statement of the fixity of each species, which he had insisted upon in his earlier works. ... warnings came speedily both from the Catholic and Protestant sides. 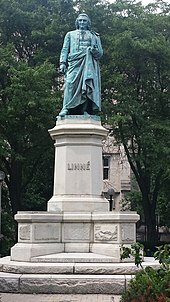 The mathematical PageRank algorithm, applied to 24 multilingual Wikipedia ions in 2014, published in PLOS ONE in 2015, placed Carl Linnaeus at the top historical figure, above Jesus, Aristotle, Napoleon, and Adolf Hitler (in that order). 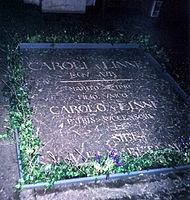 Linné, Carl von (1774). 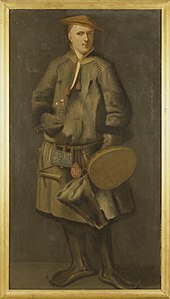 Murray, Johann Andreas (ed.). Systema vegetabilium (13th ion of Systema Naturae) (2 vols.). Göttingen: Typis et impensis Jo. Christ. Dieterich. Retrieved 24 February 2015. Linné, Carl von (1785) . Systema vegetabilium (13th ion of Systema Naturae) [A System of Vegetables 2 vols. 1783–1785]. Lichfield: Lichfield Botanical Society. Retrieved 24 February 2015. 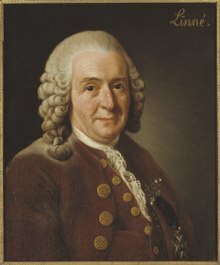 Linnaeus, Carolus (1771). 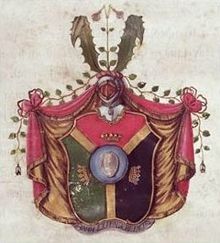 Mantissa plantarum altera generum ionis VI et specierum ionis II. Stockholm: Laurentius Salvius. pp. [1–7], 144–588. ^ The date of issue of both volumes was later, for practical purposes, arbitrarily set on 1 May, see Stearn, W. T. (1957), The preparation of the Species Plantarum and the introduction of binomial nomenclature, in: Species Plantarum, A Facsimile of the first ion, London, Ray Society: 72 and ICN (Melbourne Code) Art. 13.4 Note 1: "The two volumes of Linnaeus' Species plantarum, ed. 1 (1753), which appeared in May and August, 1753, respectively, are treated as having been published simultaneously on 1 May 1753."